The Windows operating system for smartphones is expected to gain market share in the next few years thanks to Nokia, eventually leapfrogging the iOS system used on Apple's iPhone. But Google Android will remain atop the field. That's according to International Data Corporation's latest Worldwide Quarterly Mobile Phone Tracker report. IDC predicts Android will have 43.8 percent of the market in 2015, followed by Windows Phone at 20.3 percent. Apple's iOS will trail at 16.9 percent. The future projections would be a significant improvement for Windows Phone, which will account for just 3.8 percent of the market by the end of this year, according to IDC's figures. At the end of this year, Android is projected to have the most market share at 38.9 percent, IDC says, followed by Nokia's Symbian at 20.6 percent, and then iOS at 18.2 percent. However, Nokia has declared Symbian dead and its current market position relates largely to Nokia's traditionally dominant position in global markets, particularly those outside the U.S. IDC noted in its Thursday report that Nokia has committed to support Symbian devices until 2016. 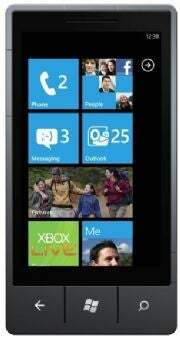 Last year, Nokia declared an audacious switch to Windows Phone for its mobile devices. This is what fuels IDC's predictions, although IDC hopes Nokia's take-up of Microsoft's mobile OS will be trouble-free. Bearing in mind Nokia is far from healthy these days, with sales forecast updates putting its stock price into free-fall, this is far from assured. The Mango update of Windows Phone 7, due at the end of this year, is also fuelling IDC's predictions. IDC expects nearly 1 billion smartphones to ship in 2015, more than double the 472 million projected to ship this year. It says expanding markets as well as falling handset prices and cheaper data plans will fuel the growth. IDC also says feature phones, which dominate the handset market right now and are built around features such as music playback, will decline in number. If true, IDC's estimates for 2015 represent a mirror of the early personal computer market in the mid-1980s when Apple pioneered technological standards and gained significant market share but then lost ground to the clone market of PCs running the identical, easily-licensed operating system. The difference here is that Google Android takes the role of MS-DOS and in IDC's projections Microsoft is largely relying on a single hardware vendor -- Nokia -- for an upward surge in its fortunes. Success in the mobile arena would be new for Microsoft, which despite investing millions of dollars in mobile since the 1990s, has never seen the kind of return on its investment it's found elsewhere. While the smartphone market has been growing, Microsoft's market share has been plummeting. An issue not taken into account by IDC is Google's legal troubles relating to Android software patents, which could stunt its growth and even make manufacturers less likely to use it on their handsets. Apple might also diversify its iPhone range, which could significantly increase the iOS market share. After launching the iPod, Apple split the product line into Touch, Shuffle and Nano models, and could easily do so with the iPhone. There have been many rumors suggesting Apple might launch an iPhone Nano, for example, which as well as being smaller than the iPhone, could also be targeted at a more budget conscious audience that simply can't afford the premium-priced existing models. Full Disclosure: IDC is a sibling company to PCWorld, both of which subsidiaries of International Data Group (IDG).